Last night I joined the iFABBO and BlogTrends twitter chat on how to grow your blog readership. For upcoming bloggers I think events such as last night’s are crucial, not only for giving sound advice on blogging but also for networking with fellow bloggers. One of the key discussion points was guest blogging. Personally I think guest blogging is a fantastic way of reaching new audiences and growing your readership but I’ve never known where or how to start with becoming a guest blogger. I mentioned this last night and have since had several conversations with bloggers who are keen to write a guest post here or would like me to write a guest post on their site. I’ll be dropping you an email later today if I get chance. It was lovely to chat and meet you on the twitter chat. Guest posting is an awesome way of spreading awareness about your blog. Fantastic! I’ll keep an eye out for it. That would be great. Send me an email with what you’d like to blog about and we’ll go from there. I’d love you to do a guest blog. Ideally I’m looking for some guest posts for the week of December 3rd as I’m away that week. Drop me an email with details of the sort of post you’d like to do. What a wonderful idea! I’ll definitely send you an email. 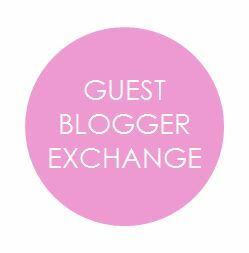 I would love to do a guest blog exchange! I would love to write about maybe a current fashion trend? Like oxblood and leather? Something of that sort. Let me know what you think? I would love for you to do a beauty post, that is a real weakness of mine! great post! what other tips did they give you to increase readership? This is a really useful idea. I think it’s one of the most effective ways to spread the word and to reach new and interested followers.